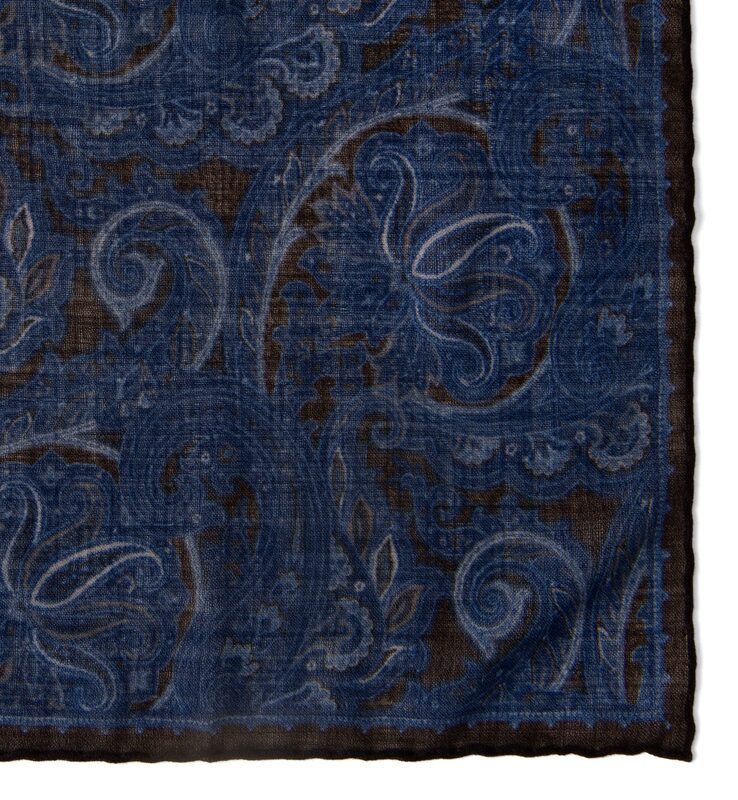 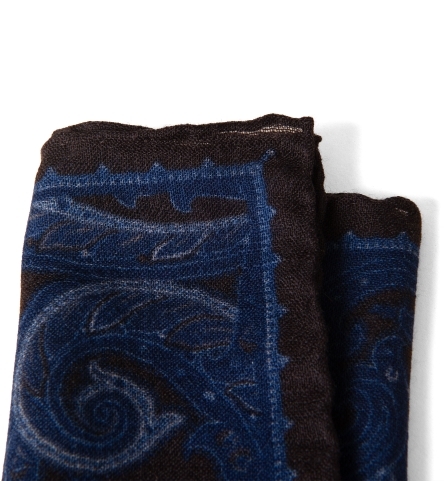 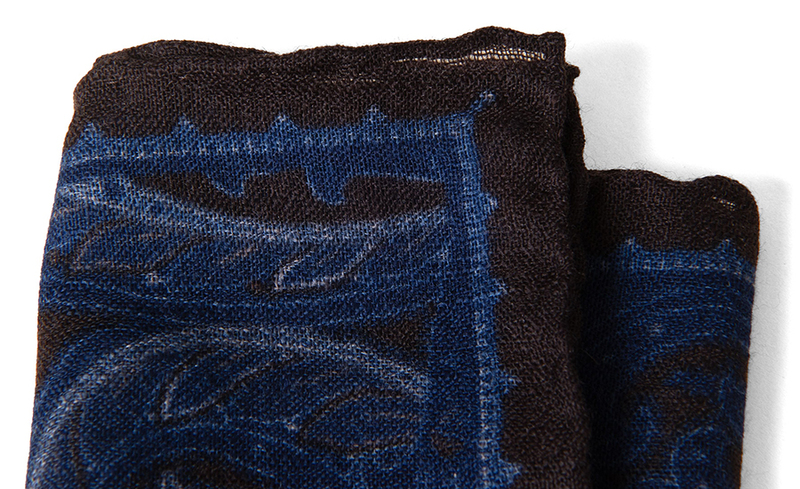 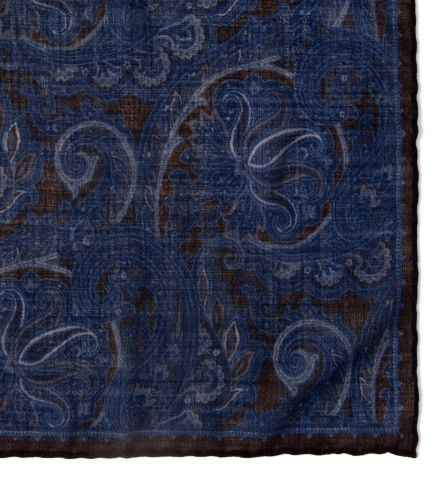 An attractive, blue on brown paisley done in our lightweight gauze wool. 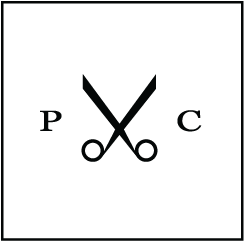 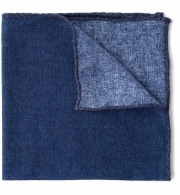 It's less bulky than most wool pocket squares, yet has enough structure that it can be easily styled and sits well in your jacket's breast pocket. 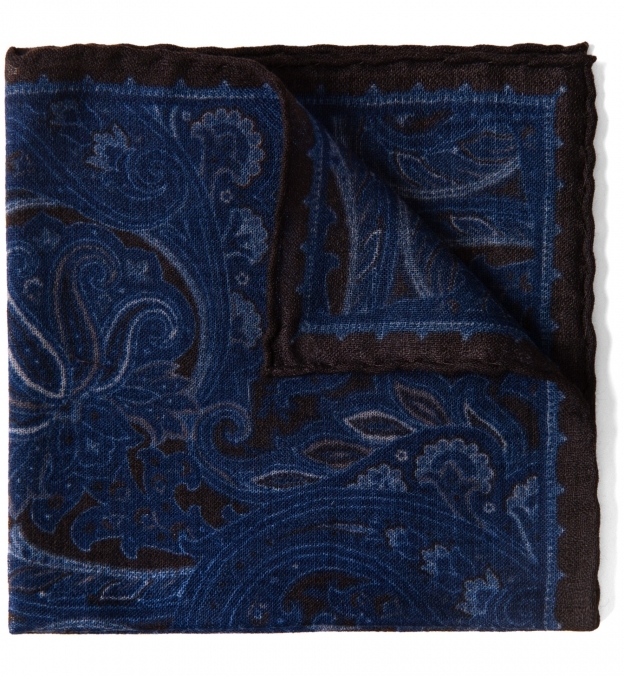 The large blue paisley and chocolate brown ground color look incredible whether you show just the edge of the pocket square or go for a more elaborate fold. 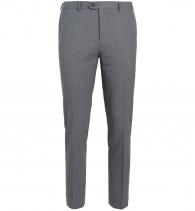 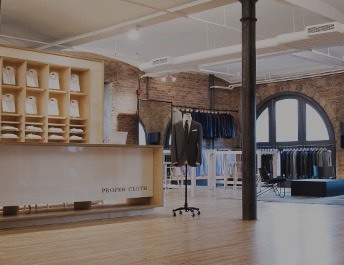 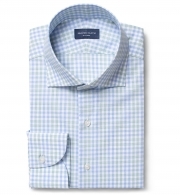 100% handmade in Lake Como, Italy using premium Italian cotton. Smart yet subtle, as an accessory should be.